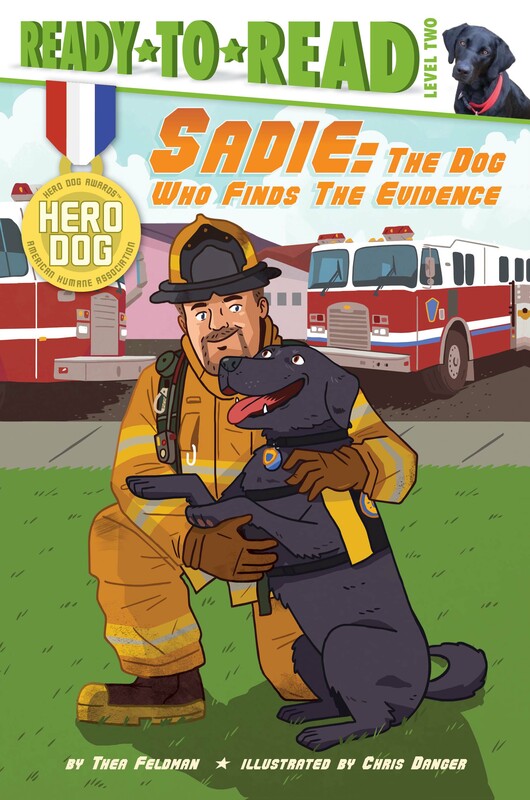 Meet Sadie, a real dog who works with the Colorado Bureau of Investigation, in this inspiring, Level 2 Ready-to-Read based on one of the winners of the annual American Humane Association’s Hero Dog Awards™! Meet Sadie. Sadie has an important job as an Arson Dog with the Colorado Bureau of Investigation. Because her sense of smell is 100 times stronger than a human’s, she helps firefighters and police officers find the causes of fires. That makes her a hero to many people. When she’s not busy sniffing out the bad guys, Sadie visits schools to teach kids about fire safety! Read her action-packed story to find out more about what this amazing canine does and what makes Sadie a hero!